Ashley Revis taps one over the net. Left: Coach Lonnie Morin prepares the girls for the next set. 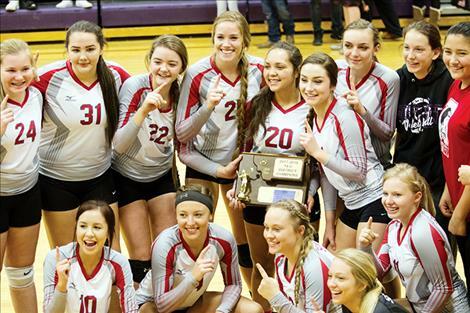 CHARLO – Arlee picked up its second consecutive District 14C volleyball title with a 25-18, 25-15, 17-25, 25-19 win over Plains on Friday night during the District 14C tournament in Charlo. With the win the Arlee Scarlets will travel to Manhattan Christian to compete in the first round of the Western C Divisional Tournament on Thursday. 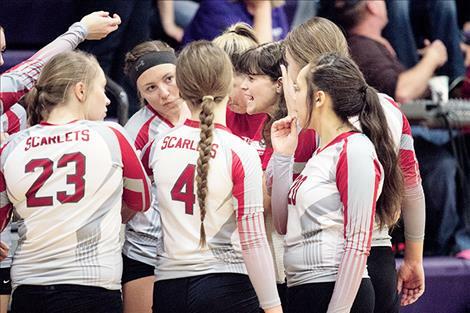 The third seed Scarlets advanced to the championship round by defeating St. Regis in the opener 25-17, 25-16, 25-11 and Plains 25-16, 21-25, 26-24, 25-18 on Thursday and outlasting cross-county rival Charlo 22-25, 21-25, 25-15, 25-16, 15-6 on Friday. In the championship match, Arlee had the upper hand early in the first set as the Scarlets jumped out to a comfortable 19-11 lead over Plains and finished the set by a score of 25-18. Arlee raced ahead to a quick 13-4 lead in the second set and never looked back. Taking the set 25-15 left the Scarlets just one set away from a championship. 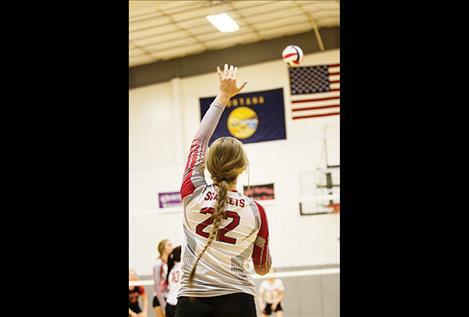 After the Plains Trotters jumped out to a big 1-6 lead in the third set, the Scarlets climbed back to bring the game within just two points 17-19. However, the Trotters held on, reclaiming a six-point lead to survive the third set 17-25. The fourth set looked like it would be the most competitive as the teams went back-and-forth with several tie scores and lead exchanges. 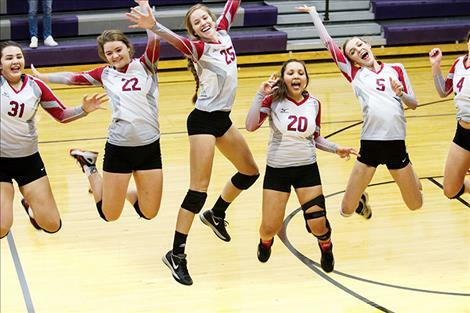 With the score tied at 14, wthe Scarlets scored six in a row sealing the set, match and title, 25-19. 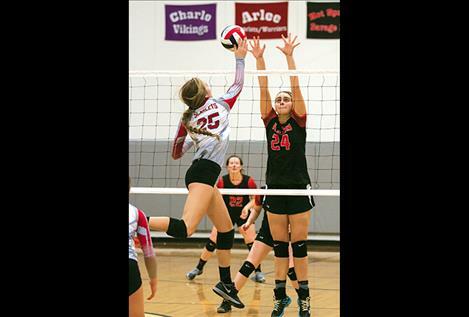 Eden Morin led the Scarlets with 16 digs and seven aces, while Ashley Revis floored 15 kills.